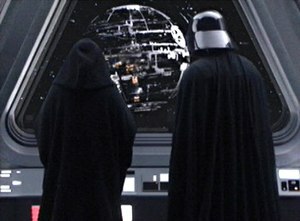 The ultimate weapon in Star Wars was the Death Star. This morning I received an email from Grover Norquist trumpeting the endorsement of Rush Limbaugh of the Norquist pledge of no new/higher taxes. And I thought that was like using Darth Vader as a salesperson for the Dark Side. Won’t make many sales that way.